Please enter specific information about your temperature control requirements and any special needs your process may have. Our team of engineers will work on a design to provide the best solution for your recirculating liquid chiller needs. 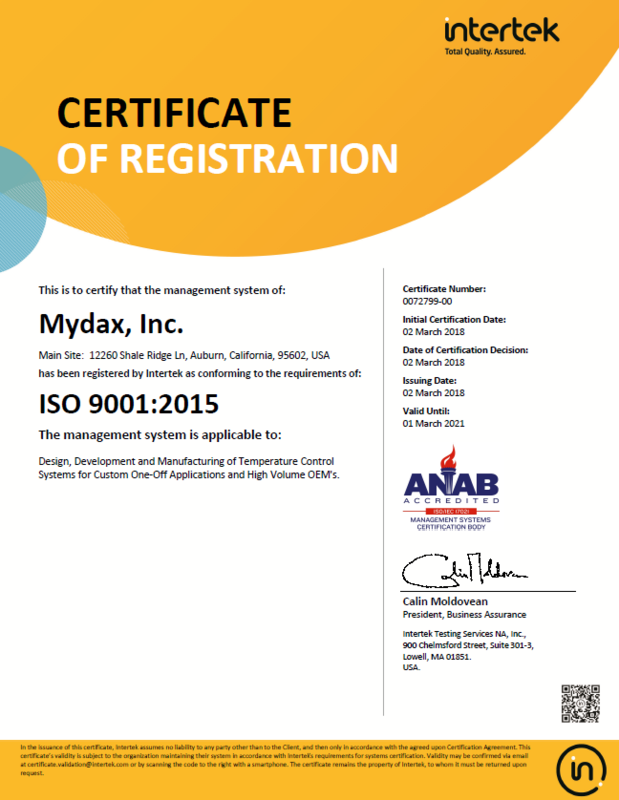 All Mydax chiller systems provide Quality, Reliability and Performance and can be custom designed for your specific one of a kind application or meet your large quantity needs. from 8:00am – 4:30pm PST, Monday – Friday or Email us at sales@mydax.com. Please tell us how you heard about Mydax? Please tell us about your specific application. List any necessary information to your process that could help us with your chiller quotation. Thank you, Mydax will contact you within one business day.